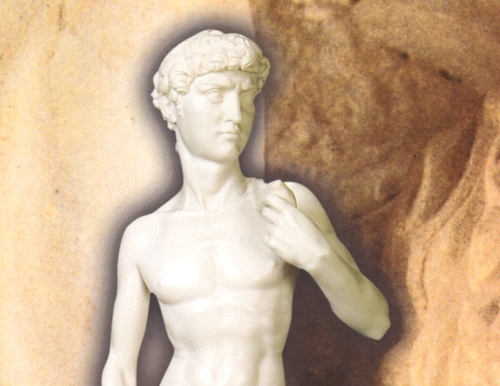 David by Michelangelo. Michelangelo began work on the colossal figure of David in 1501, and by 1504 the sculpture was in place outside the Palazzo Vecchio. The choice of David was supposed to reflect the power and determination of Republican Florence and was under constant attack from supporters of the usurped Medicis. In the 19th century the statue was moved to the Accademia. This beautiful statue is made of fine white alabaster stone. The original is exhibited in L'Academia in Florence, Italy.